Hello! Happy new year! I hope you're feeling all refreshed and ready to go after the holidays? I took a slightly longer break than usual this year and spent the last week in the most magical Norwegian mountain hide-away belonging to the amazingly creative owner of Slow Design (which also features in my book The Scandinavian Home out in 8 weeks... eeee, soooo exciting!). We skied, played board games, ate good food and took in the scenery - it was a true winter wonderland! We arrived back in southern Sweden late last night (after an eight hour drive) and now I feel all recharged and ready for the year ahead (admittedly a little bleary eyed too!). I thought I'd kick off with something suitably cosy - the 'winter home' of British photographer Michael Sinclair. 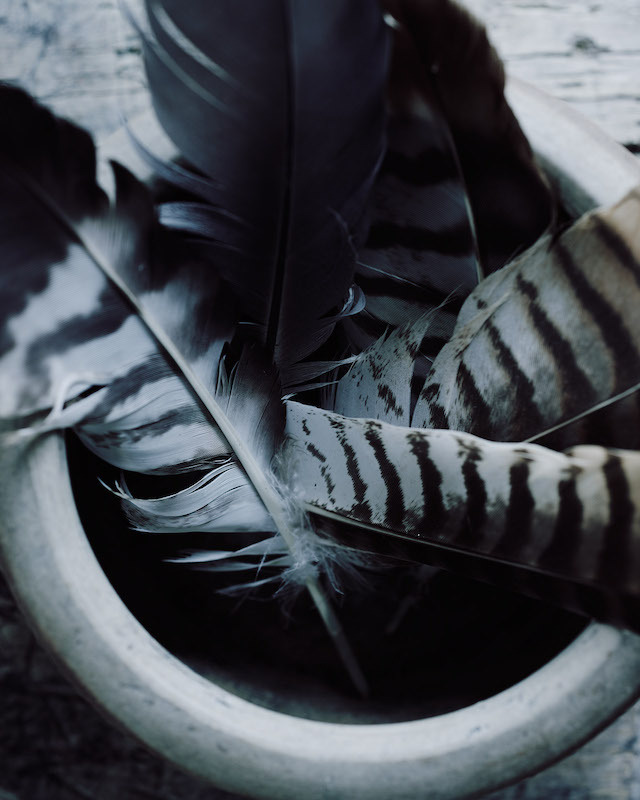 The interior draws heavily on nature and showcases an array of natural textures including reclaimed wood, stone, linen and handwoven jute as well as bowls of feathers and pine cones foraged from the nearby countryside. How wonderful?! Credits / copyright: Michael Sinclair, represented by One. Shared with kind permission. What a beautiful home! 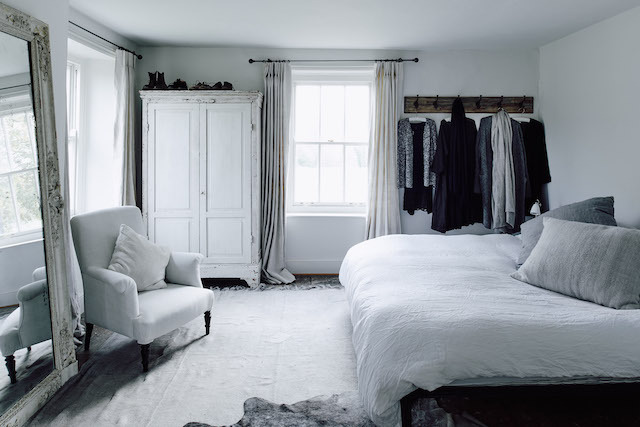 I love the muted colours and vintage touches - how about you? 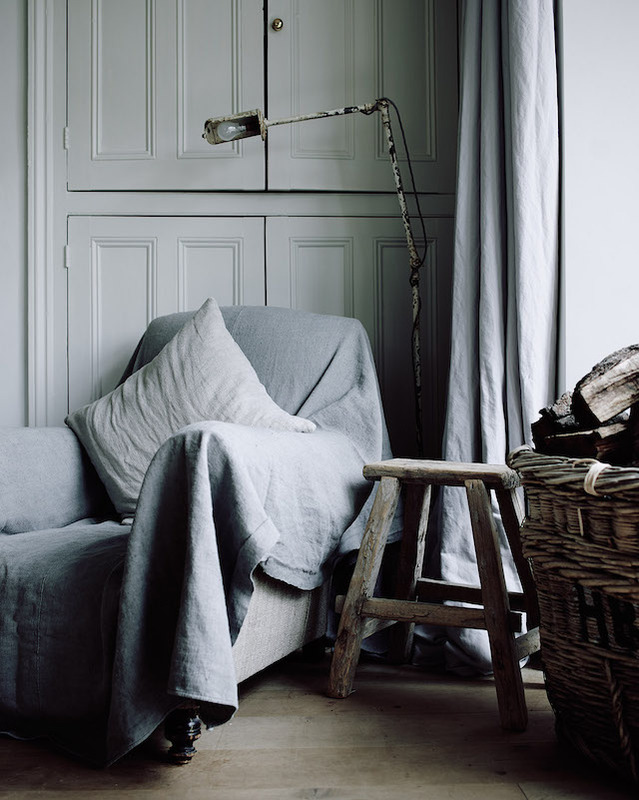 Ideas to steal from Michael's cosy interior: linen cushion and beautiful linen fabric by the yard. 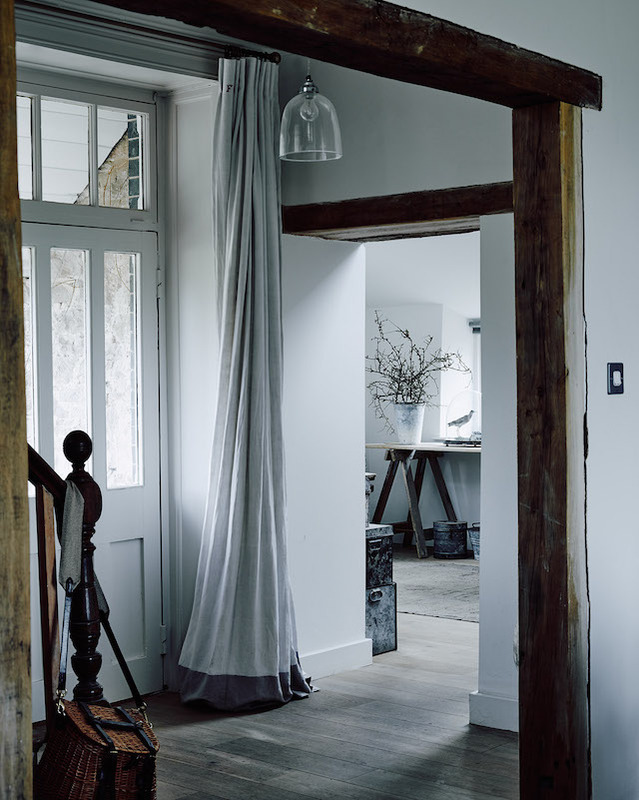 I love how the draft around the door is kept out by a linen curtain, source a similar made to measure one here. 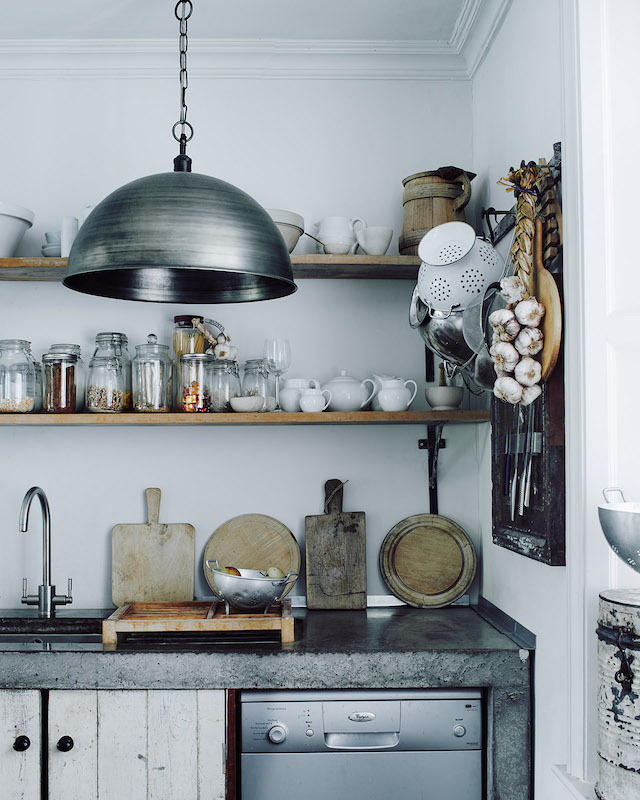 This is a great place to pick up vintage chopping boards. 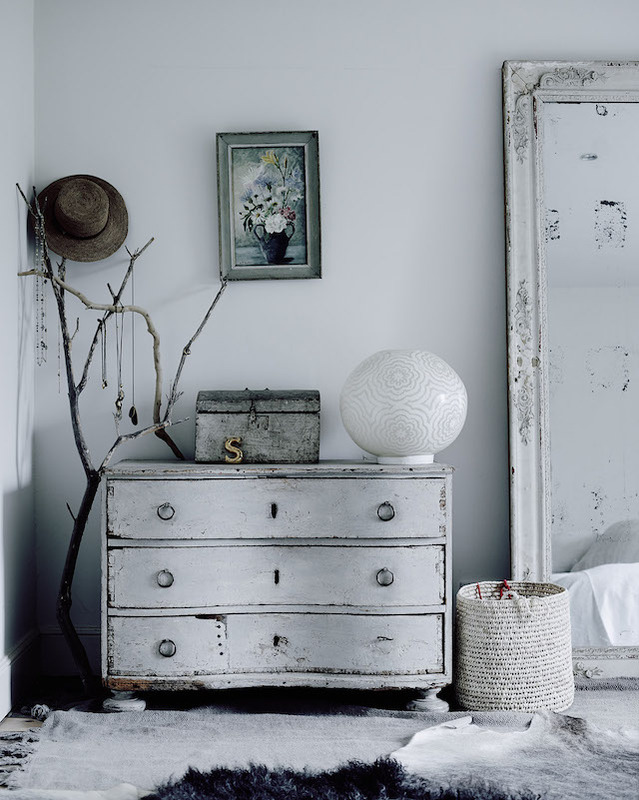 I found similar rustic wooden stools (seen in my bedroom) here. 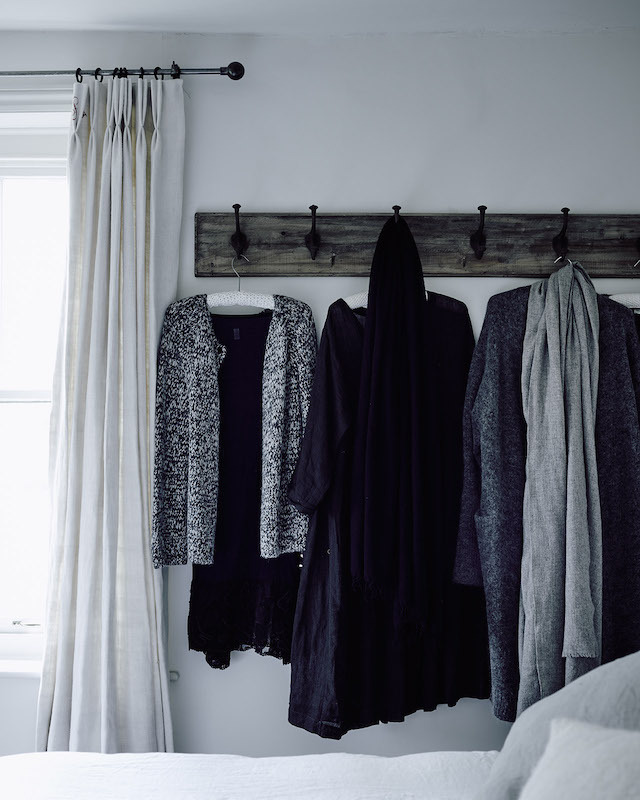 It's amazing how much you can add to your home using items found just outside the door. 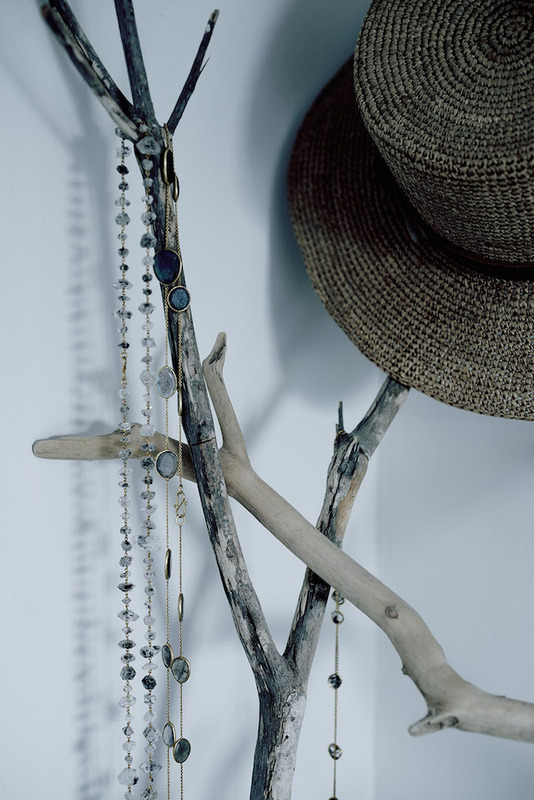 In Michael's house branches make a perfect place to store jewellery and feathers make a pretty display in a ceramic vase. And they're free too! Right, that's it from me today - I'm so happy to be back, I have a feeling this is going to be a great year, don't you? PS Today is the final day to enter the give-away to win £300 / €355 to spend at Houseology - it only takes a second to enter and it's open to all! I've got my eye on so many things in that online store it's unbelievable - see my pick here. Yup -whoever wins is going to be one happy gal / guy! PS One final thing (bit random!) 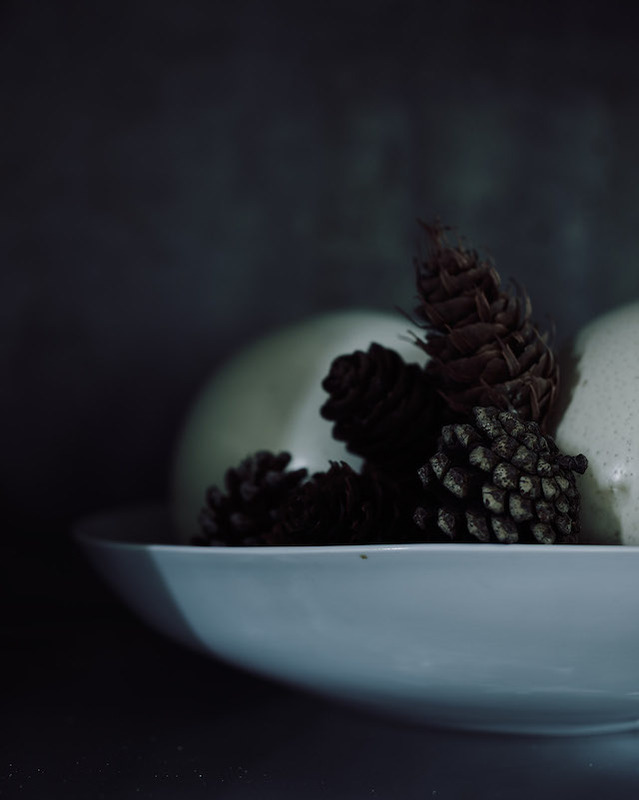 - does anyone have any experience of an egg bath? Would love to know your thoughts. I love them too - Michael is so talented! Every inch on this home is gorgeous isn't it? 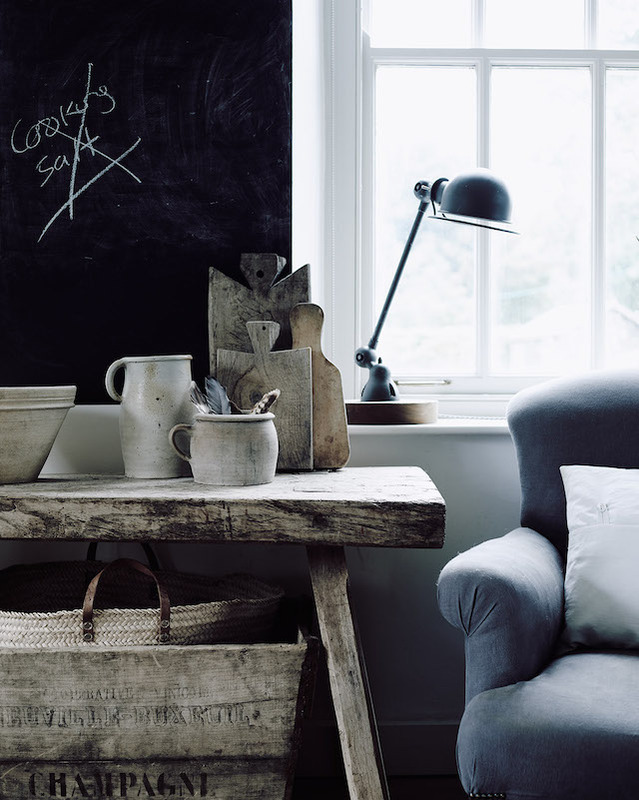 I totally agree- all the lovely wood and natural textures bring the space to life. It's such a lovely space! 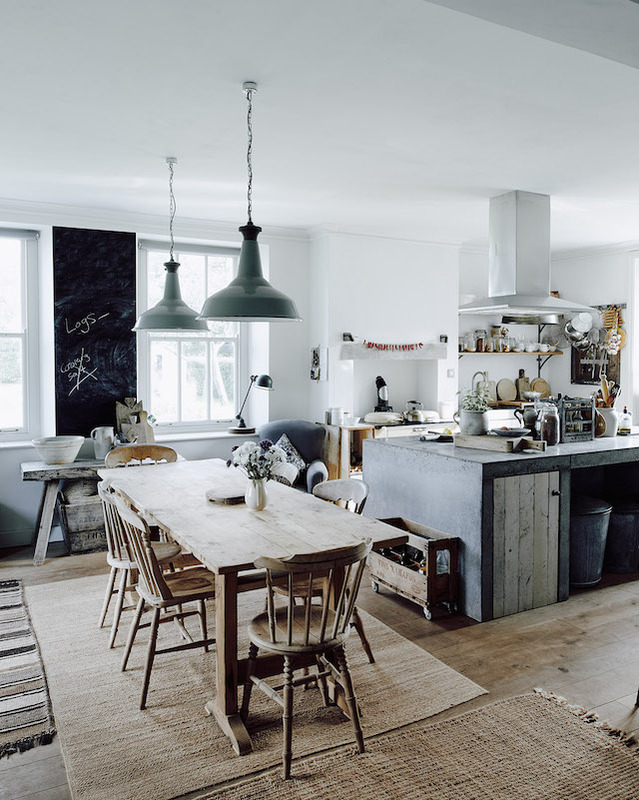 I love the kitchen too - it's so homely! Glad you are back, Niki. I missed your posts very much. This is so absolutely beautiful - just perfect! I love this tour! Such good inspiration for finishing my living room and getting to work on my tiny kitchen! 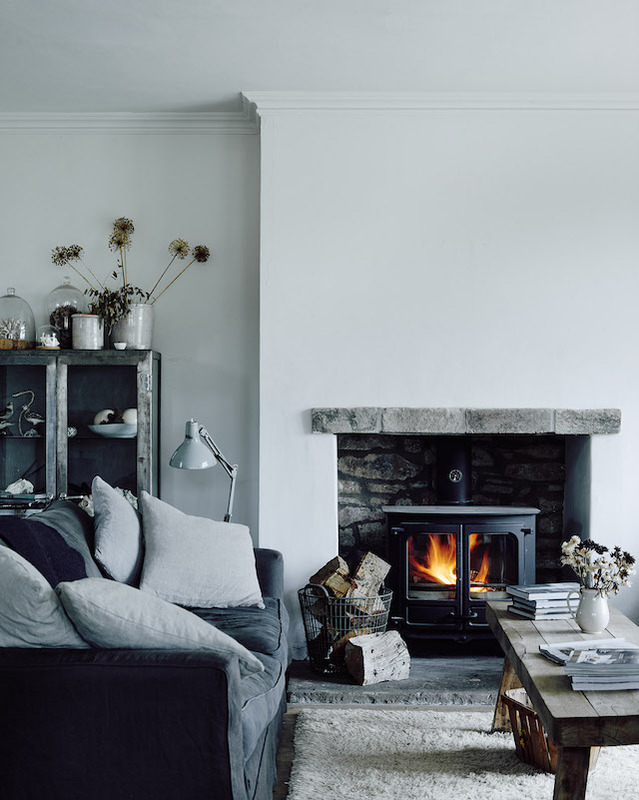 The living room is so cosy in this home - and I love some of the details in the kitchen too, it looks so warm and inviting! Good luck with your projects Heather! Thank you Utau, it feels great to be back :) I'm happy you like the first post of the year - the rustic timber is beautiful!